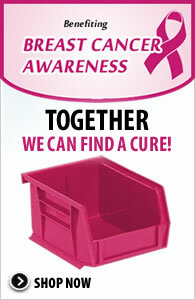 High-capacity collection containers for high-volume areas. 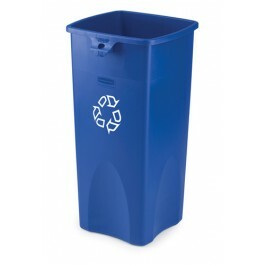 Ideal for recycling paper or cans/bottles. 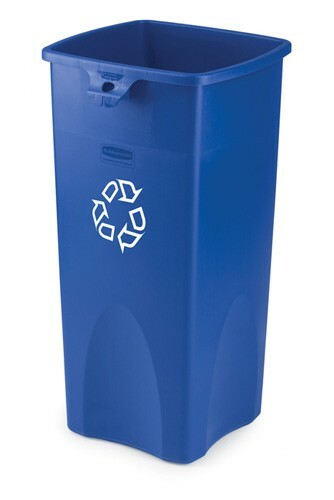 Contribute to LEED points and promote recycling. 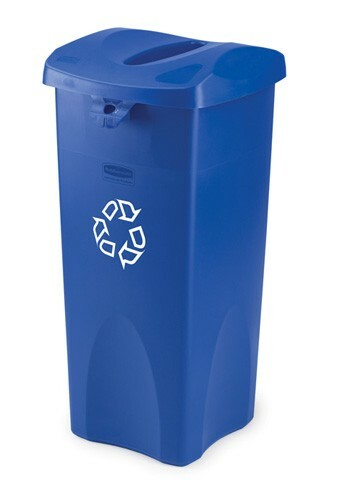 Meets or exceeds EPA guidelines for post-consumer recycled content. Blue. Stackable design with built-in handles for easy lifting and carrying. Heavy-duty LLDPE construction withstands harsh weather conditions without cracking or bowing. 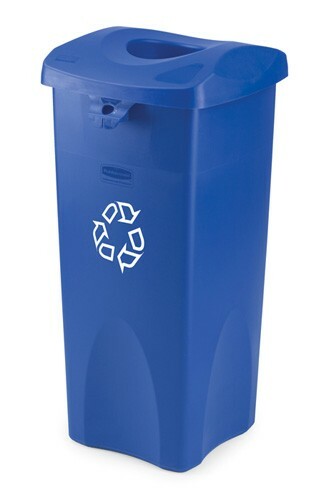 Contribute to LEED points and promote recycling. 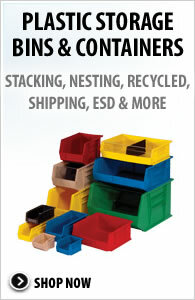 Meets or exceeds EPA guidelines for post-consumer recycled content. Blue. Containers show universal recycle symbol imprint. Features a can liner cinch to hold bag in place and eliminate the need for knot tying. Uses lids RCP 2690 BLU and RCP 2691 BLU, sold separately.